opinion Bourjois Healthy Mix is the best high street foundation ever and it rivals many pricier foundations too. With that in mind I had more than high expectations for the Happy Light formula. The whole concept of the happy light range is that they promote healthy, glowing skin without the need for shimmer or glitter particles to create a light within glow. Bourjois claim that this is achieved by the translucent pigments which are said to absorb then reflect natural light...very complex and truthfully beyond my understanding. 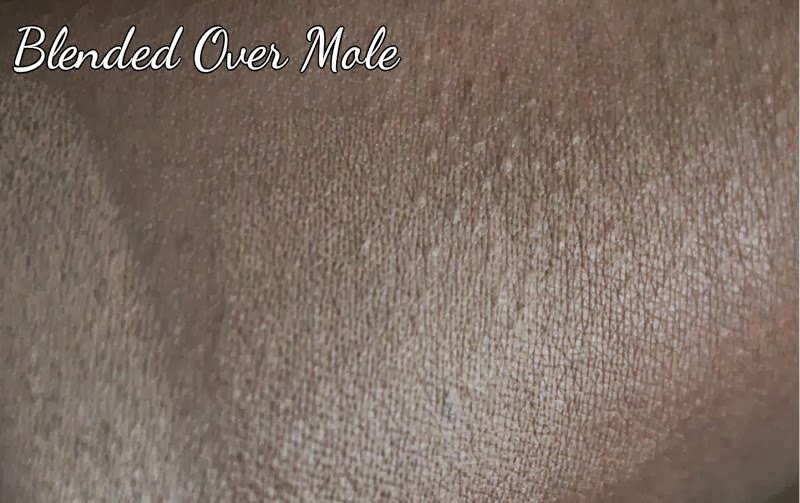 What I can say is that out of all the Bourjois foundations I have tried (and grew to love) over the years this has the lightest texture that is almost gel like and slightly hydrating (oily skin types needn't worry), that truly does feel like a second skin and yet it provides moderate coverage. In terms of coverage it evens out the skin tone and instantly disguises redness/discolouration etc but you will need a concealer for under eye circles and blemishes, having said that you can build the Bourjois Happy Light formula up for a more full coverage effect without it caking. So just how true are the claims of natural glowing skin? 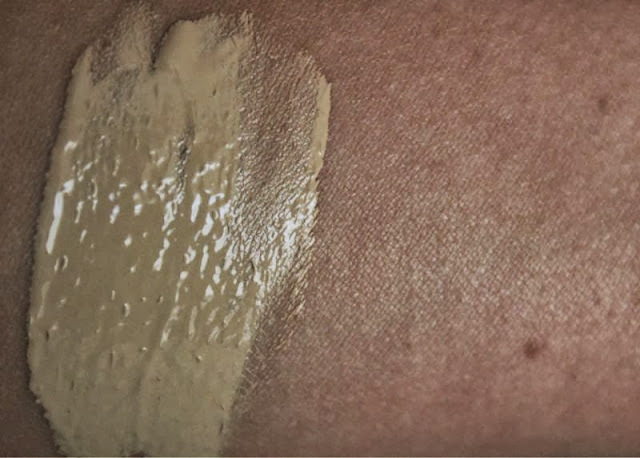 In all honesty it is subtle, very subtle not that it detracts from the quality of the foundation but those hoping for super dewy radiant skin may want to try something else. 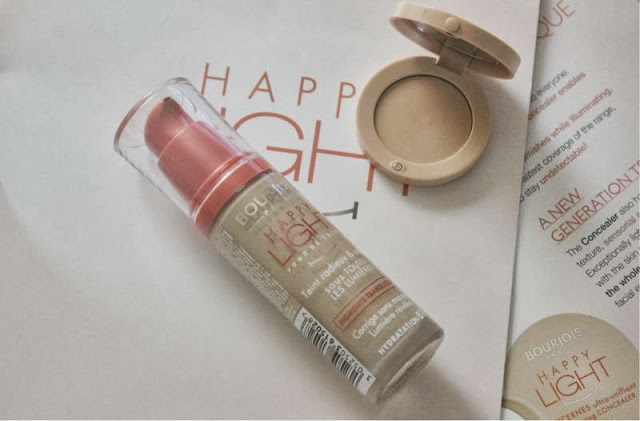 What the Bourjois Happy Light foundation did in my opinion was brightened the skin rather than added a radiant glow, if you have dull skin this could well be a saviour but a dupe for NARS Sheer Glow it is not. I should warn that the shades are not at all consistent with the Bourjois Healthy Mix lines and in my opinion the Healthy Glow products run a lot darker than any of their other offerings. In fact they this time around they have shades 56-58 for deep skin tones and they do look set to be promising. I was sent shade 50 Porcelaine which is too light for my skin tone but I did find that it oxidised slightly which may be worth noting. 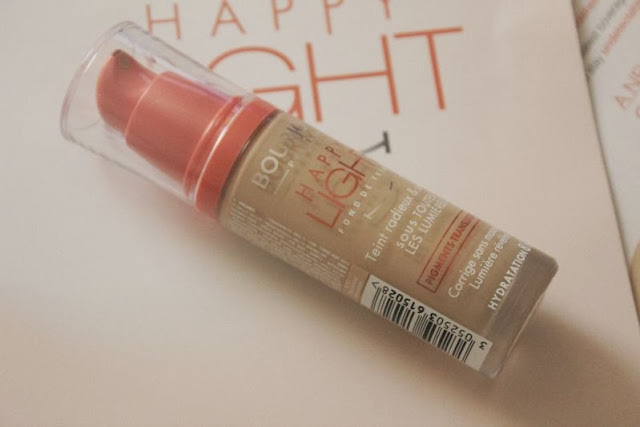 If a light gel based foundation is what you crave then I do give this the thumbs up! The other product that I have from the Bourjois Happy Light collection is the concealer which again is intended to illuminate as well as cover blemishes. 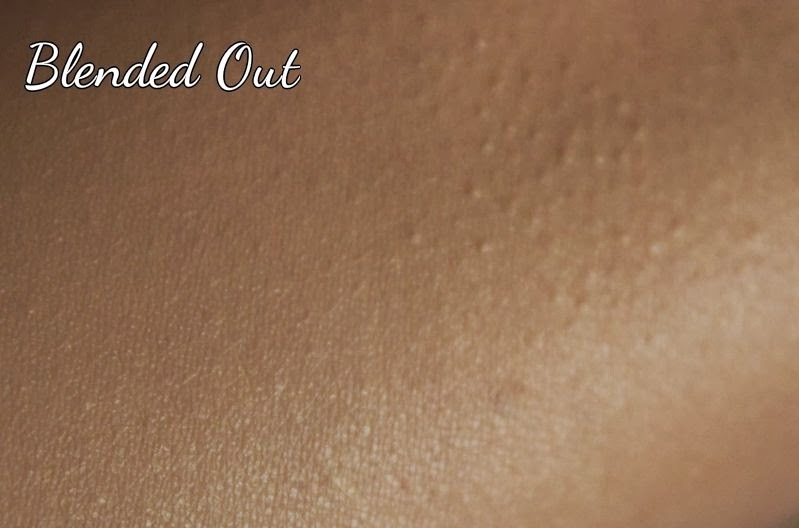 Bourjois claim that it is multi-action and can be used not only to disguise blemishes but also on the under eye area - I feel that if you have a medium to dark complexion you can also use a lighter shade to highlight. Unlike the foundation shade selection the concealer range is slightly less varied with only three shades available and again I found them to run slightly deeper than average. I have shade 21 Ivoire which is a pretty yellow based hue that I think would be suitable for skin tones around the MAC NC20 mark. It is a little too light for me to use to cover blemishes but I can use it to highlight and for the under eye circles. 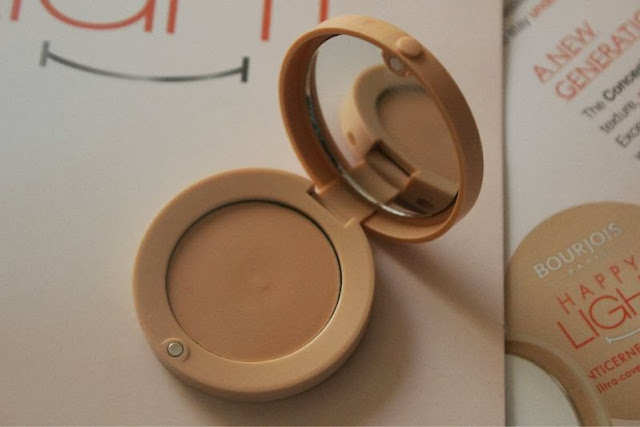 Speaking of which this is a fairly thick and creamy concealer that does offer full coverage so much so I found it a little over whelming when used on the under eye area. 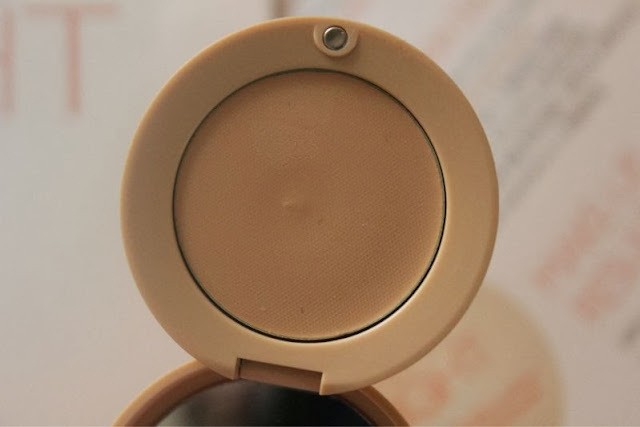 The Bourjois Happy Light Concealer texture is as mentioned thick and some what waxy with a tendency to crease even when set with a powder on my under eye area. It does remind me of Benefit's Erase Paste which behaves exactly the same way when used around my eyes. Having said that there is no disputing that this concealer makes light work of disguising blemishes and other imperfections without feeling heavy on the skin. 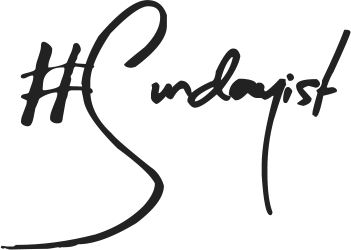 Does this illuminate? Nope but for £8.99 it is a rather amazing full coverage concealer. 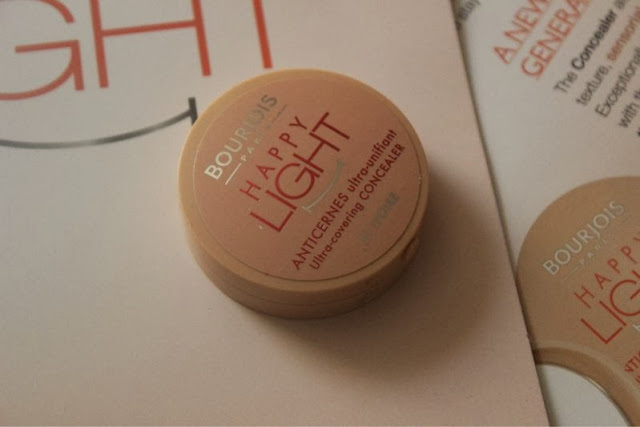 I will level and say that I prefer the Bourjois Healthy Mix Foundation over the Happy Light formula but the Happy Light concealer wins hands down. I really hope there is a Happy Light pressed or loose powder in the works! 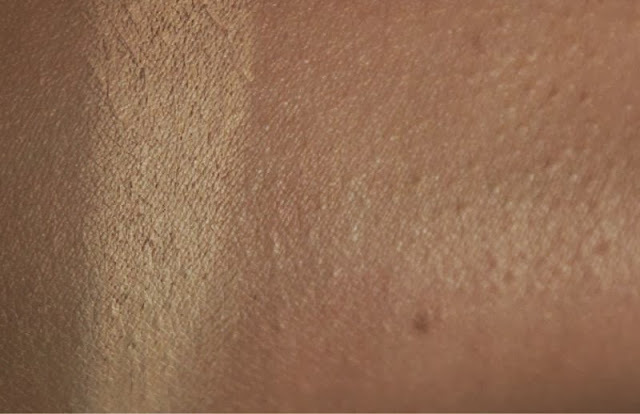 Sometimes when there is a foundation like Healthy Mix that's so good, it's a curse for the brand...it's so hard to beat! Would be better if this line did a cream concealer like Nars Creamy Concealer or Rimmel Wake me up! 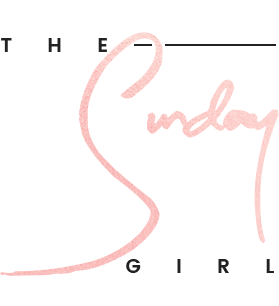 Do come visit my blog too! I'm intrigued. Might give it a go. I'd love to try this, i recently got the Garnier bb cream which I'm loving so I might try this if the bb cream runs out! I keep seeing this pop up over blogs everywhere, i really want to try this out because it looks and sounds really good! Definitely keeping my eyes peeled for these, they look amazing! How interesting, you both wrote review about this product exactly at the same time, but opinions are totally opposed. I bought the happy light foundation and really like the effect it gave my skin ..glowy but not overly glowly! Stayed put well considering I have oily skin too.. very impressed!